Welcome to CHI2004, the premier international conference for human-computer interaction. CHI2004 will be held in Vienna, Austria. Our conference theme is CONNECT, and we've created new opportunities for conference attendees to connect with technology, with each other, and with Vienna, a marvelous central European city of imperial tradition and modern creativity. Please join us in Vienna and take advantage of the many opportunities to network and showcase your research, design, and practice in a top international conference destination. We are pleased to announce five Special Areas for the conference, and we especially encourage you to join us in exploring these topics. Sightseeing tours and more experience tours added! 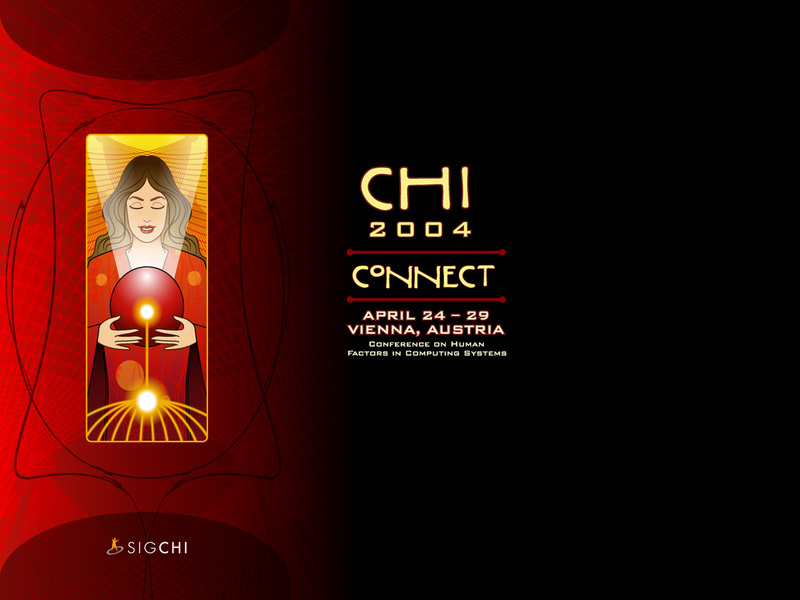 The CHI2004|ICSID Industrial Design FORUM is an intensive two-day event cosponsored by CHI2004 and ICSID. In addition to keynote and case study presentations, you will engage in hands-on collaborative exercises exploring the confluence of HCI and Industrial Design. Register for this event through the CHI2004 registration page.